5:00 pm Thursday – 7:00 am Friday | Justin Youth Building | 801 W. 5th St.
Room in the Inn provides shelter to individuals who are homeless during the three coldest months (December, January, and February) and the two hottest months (July and August) every year. 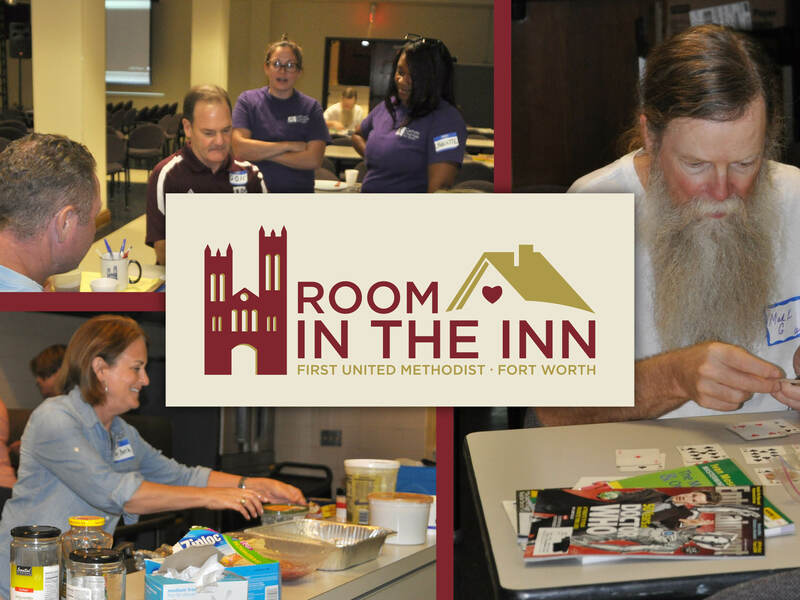 First Street Methodist Mission along with First United Methodist Church of Fort Worth participates in Room in the Inn, offering shelter to 14 single men on Thursday evenings. Room in the Inn is primarily run with the help of volunteers. Volunteers set up the facility, prepare the beds, make the meal, stay overnight, and transport our guests to and from the Day Resource Center in Fort Worth, Texas. We would love to have you volunteer with us. Training is required of all Room in the Inn volunteers and is held prior to each season of Room in the Inn.